RISQUE: Aurora Kurth performs in Paris Underground, coming to the Potato Shed soon. Dark delights from the City of Light come Drysdale next month when Paris Underground plays at the Potato Shed. 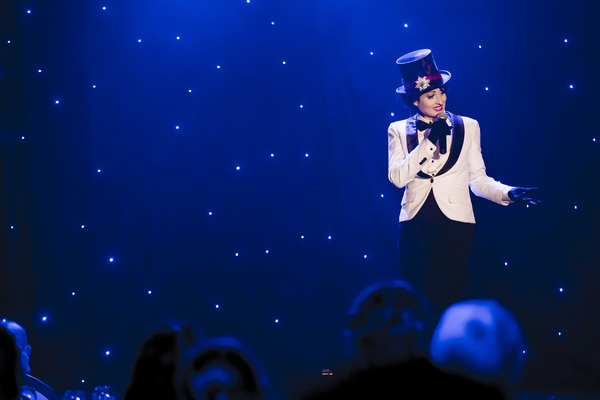 Madotti & Vegas’ burlesque adventure includes tap-dance, magic, acrobatics and a few cheeky cabaret acts in a once-only show on 15 September. Paris Underground features risqu¨¦ chanteuse Aurora Kurth, who recently spoke to Melbourne presenter Leigh Drew about the show. “We’ve really travelled far and wide across Australia with this show,” she said. Kurth loved audience interaction and regularly used her “womanly instincts” to find a willing participant, she told Drew. “There’s a song in the show that involves a bit of audience participation,“ she said. She took special care to look after those she brought onstage, compared to other shows, she said. Kurth has sung since age 12 and performed around Australia for more than 30 years. Theatre had become her life’s passion, she said. The show also features the aerialist Hannah Trott, tap-dancer Eden Read, cirque specialist Monsieur Mark Graham and burlesque artiste Mimi Le Noire.